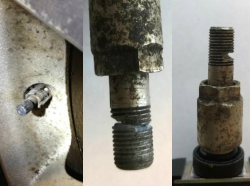 Rear-view camera problems cause two recalls of Dodge Journeys and Ram 1500, 2500 and 3500 trucks. July 14, 2018 — Chrysler is recalling more than 3,500 Dodge Journey SUVs and Ram trucks in two recalls caused by problems with the rear-view cameras. Both recalls involve 2018 Dodge Journeys, with 1,741 of the SUVs recalled because the rear camera screens may not be fully visible within two seconds. The automaker says the view of the rear camera can be blocked for 2.75 seconds when the text of a cautionary message is present. 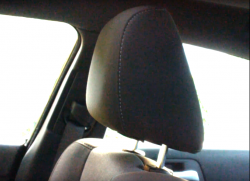 Federal safety standards require that a field of view is displayed within two seconds of shifting into REVERSE. The text message isn't large, but it continues to be displayed for 2.75 seconds, less than a second more than standards allow. 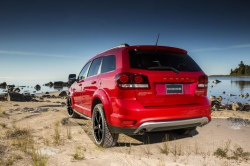 Chrysler found the problem in May 2018 during a compliance test of a 2018 Dodge Journey and determined all the SUVs were built from May 1 to May 25, 2018. The 2018 Dodge Journey recall will begin August 3, 2018. Dodge dealers will replace the rear-view mirrors where the displays are located. 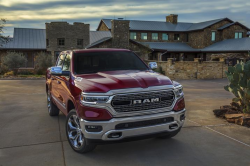 In the second recall, more than 1,800 Dodge Journeys and Ram trucks are recalled for rear-view camera problems, but the problems are different because the displays can disappear while backing up. 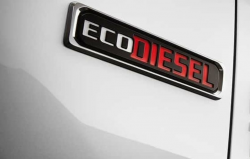 Included are the 2018 Dodge Journey and 2018 Ram 1500, 2500 and 3500. Chrysler learned of the rear-view camera display problem in May 2018 during a test of a 2018 Dodge Journey in Mexico. The Dodge and Ram recall will begin August 3, 2018, and as in the case of the previous Dodge Journey recall, dealers will replace the rear-view mirrors. Owners with questions about either recall should call 800-853-1403. 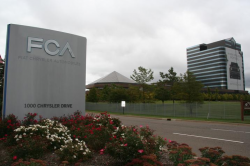 Chrysler's number for the first recall is U58 and U56 for the second recall. CarComplaints.com has complaints about the Dodge Journey, Ram 1500, 2500 and Ram 3500.